Category: Compostable bags for outdoor use. 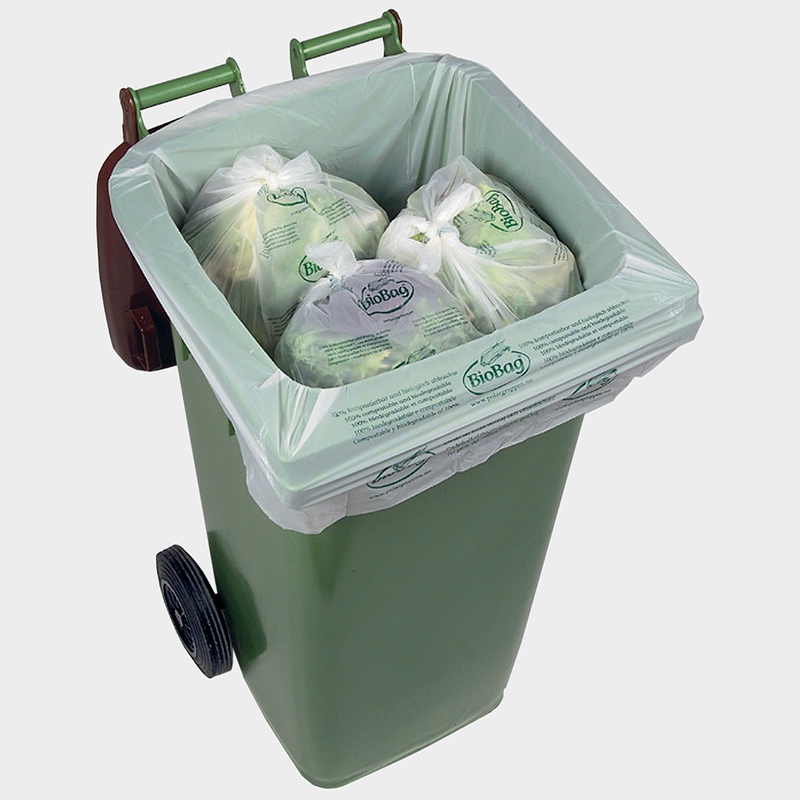 A BioBag 140 Litre Wheelie Bin Liner is made from plant starch and is 100% compostable and biodegradable. Using BioBag is an easy and hygienic way to sort food recycling in your home. A BioBag is breathable which allows moisture in waste food to evaporate. This means that the contents of your bin dry out and mould formation is prevented. Unpleasant smells and odours are significantly reduced. 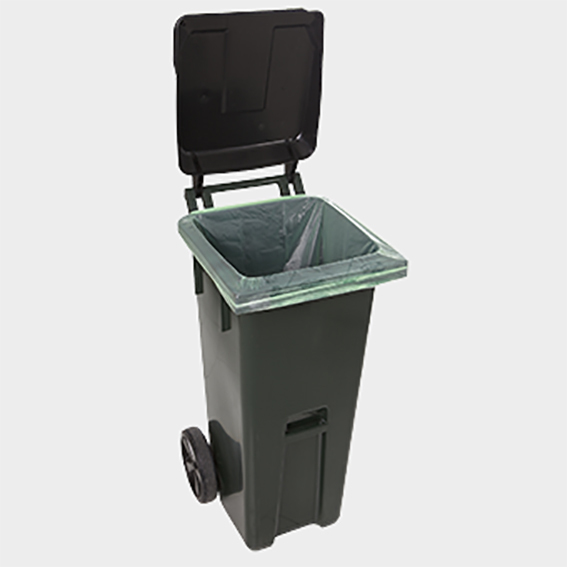 BioBag 140 Litre Wheelie Bin Liner can be used in your Brown/Organic Waste Bin keeping it clean and dry between collections. Never worry about dirty, smelly, unhygienic bins again! A BioBag acts as an effective barrier to bacteria, viruses, spores and mould keeping your bin clean and free of nasties. BioBag supplies compostable and biodegradable products that make it easy to be more environmentally friendly in the kitchen. 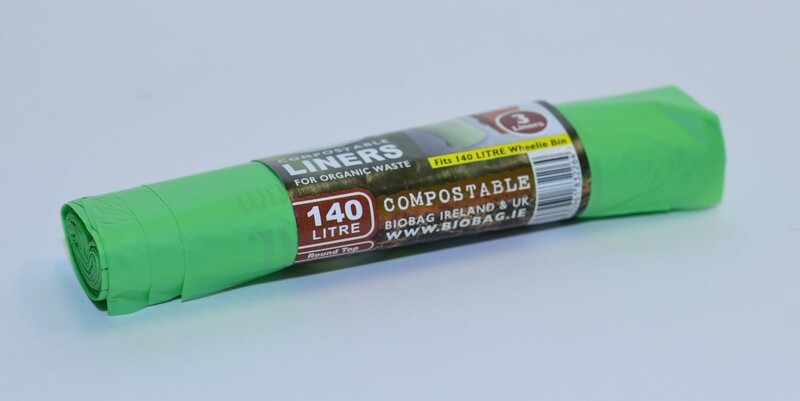 BioBag Wheelie Bin Liner is large and strong enough to be used to collect and compost garden waste like grass cuttings and small twigs and hedge trimmings.